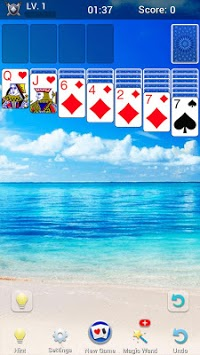 Welcome to the most fun and original Klondike solitaire game for Android. Solitaire is also called patience by many other countries. Klondike solitaire is a classic card game that is internationally popular and well-known by many people. This new Klondike solitaire offers you endless card games as well as keeps your brain sharp. 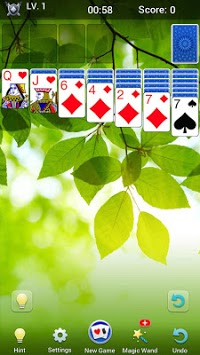 Take on our solitaire game with daily challenges. DOWNLOAD NOW! 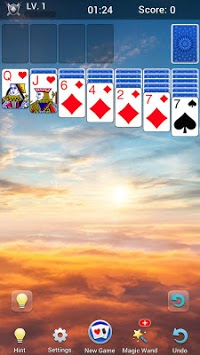 Come and enjoy our well-designed and beautiful animation Solitaire game! Our Solitaire games are the most easy-to-play! Klondike solitaire is the best game to train your brain and kill your time when you are bored. Pick us, you won't regret! Lots of fun just a tap away, Download NOW!